Michael Jordan is widely regarded as a bit of a... gambling enthusiast. In fact, some conspiracy theorists believe NBA Commissioner David Stern forced Jordan to take a year off, as punishment for his extreme gambling. 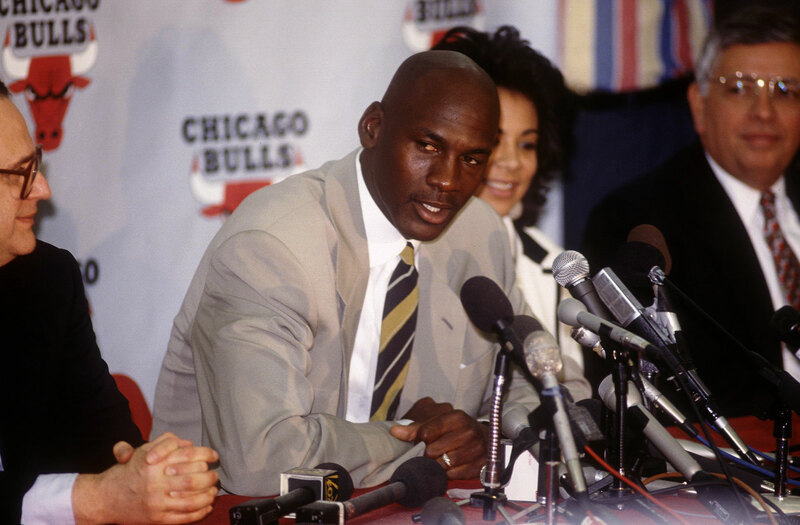 On October 6, 1993, the game changed forever. 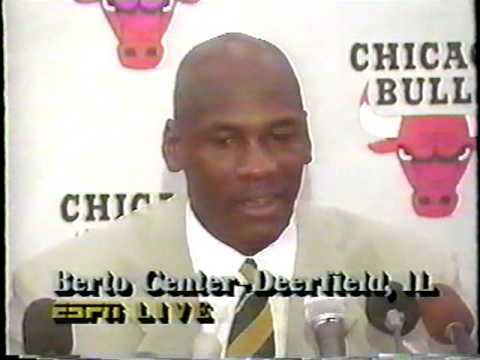 Michael Jordan, the best player to ever set foot on the hardwood not named Joe Dumars, retired. There were many reasons tossed about as to why he decided to leave the game – he was emotionally drained following the murder of his father months earlier, he was physically exhausted following his role on the Dream Team in the 1992 summer Olympics, he was just tired of the game. But then there’s the conspiracy. And this has been, and will continue to be debated by basketball fans for years to come. an October 1992 trial against known drug dealer James “Slim” Bouler, where it came out that Jordan lost $57,000 playing poker, dice and golf after cancelled cheques for that amount were found in Bouler’s possession. Now gambling alone isn’t enough to warrant a suspension, but gambling on sports is, specifically when you’re gambling on the very league in which you play. And while proof Jordan was gambling on sports is limited to hearsay and innuendo, that hearsay and innuendo was getting louder and louder. And it was pointing in other directions – directions that Stern wanted to keep hidden. Recently a letter from then Secretary of Defence Colin R. McMillan to Michael Jordan was found. McMillan choseJordan to share a dark secret with the world, due to the fact they were both UNC alumni. In the letter, McMillan spells out that the 1969 moon landing was in fact staged. He learned this from yet another UNC grad, Andy Griffith, who apparently was one of the actors involved in this project. The most frightening part of the letter, however, is his insistence that Jordan not share any information with David Stern. One has to ask one’s self why. Why can’t David Stern be trusted? It only takes a little digging to see why. First, we find this letter. An FBI Teletype dated July 8th, 1947 showing that Commissioner Stern was responsible for transporting the remains of whatever crashed at Roswell, New Mexico to Wright Air Force base. Why was Stern working with the US Military? What role did he play in the Roswell incident? And suddenly it all makes sense. It all points to only one possible explanation. Along with the Freemasons, David Stern’s great-grandfather and early basketball impresario Grigori Rasputin worked towards designing a genetically superior basketball player. Stern’s father, and Stern himself followed in Rasputin’s footsteps, making the creation of the ultimate basketballer their prime directive. Using alien science obtained from the Roswell crash, Stern artificially inseminated Jordan’s mother, Deloris, with accelerated basketball DNA. He then developed an artificial ball ability enhancer, that when put in contact with the alien DNA would endow it’s host with what have come to be known as “mad skillz”. In the interim, however, he lost track of the young Michael Jordan, so turned to his confidant Donald Rumsfeld to release the enhancer to ALL Americans, in the form of aspartame. While this was occurring, Stern’s half brother Lee Harvey Oswald, in what appears to be an unrelated incident, assassinated John F. Kennedy. As people started digging deeper into the motives of the Kennedy assassination, they started asking more questions about Stern and his role in it. In order to divert attention away from his basketball experiments, he used his military connections to stage the moon landing, knowing it would act as a diversion - much like he would stage Jordan’s baseball career 30 years later. He was successful until an aging Andy Griffith confided in the Secretary of Defence, who then confided in Jordan. When Jordanlearned of this he confronted Stern. However Stern was smart. When he engineered Jordan he did so with a catch – a metaphoric genetic kill switch - a massive ego, a need for the love of fans, and the desire to play basketball. So when Jordan threatened to talk, Stern took the game away from Jordan. And when Jordan realized what he lost, he came crawling back. Believe what you will, but know this... believe what you will. 你對[ 傳聞 Michael Jordan 1993年第一次退休是被逼的 ]有什麼意見?